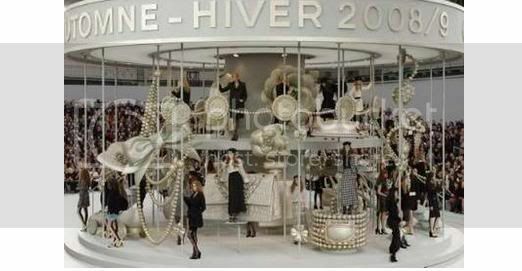 After the hideous giant bow for SS08 and couture’s 75 ft tall jacket, I guess Karl’s finally gotten it right with a dreamy merry-go-round setting. Yes, there were giant bangles and quilted bags too (as I had once predicted), but this time the iconic accessories are decorated in a more tasteful way. 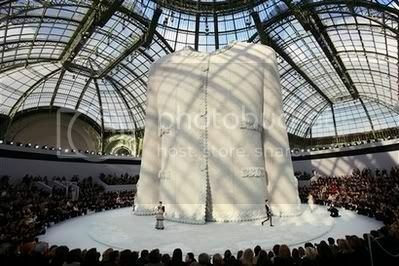 It’s been a long while since Karl did something as pleasantly surprising as this for Chanel. At least, he still manages to churn out fresh ideas like this once in a while to keep his customers & fans interested! What do you think? 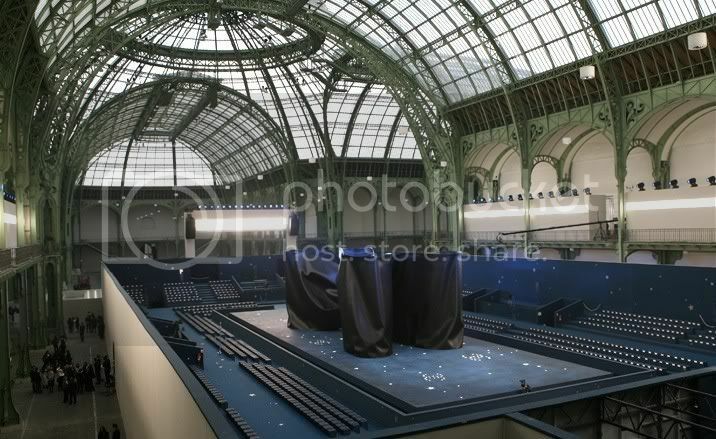 ss08 was just a blip, karl is back to his best now and the aw08 line looks great, and the merry go round is amazing, it reminds me of something from a childs’ story book. Love the set! The clothes are too predictably Chanel. Hi I’ve just given you the Thinking Blogger Award! Congrats and check out my blog for what to do. Clearly, I love your blog! after having seen all the pictures from the show i’ve changed my mind, the clothes are so bland and safe. the colors are dull and unfortunately i think the set was the best thing about the show. A little amazing if you ask me. 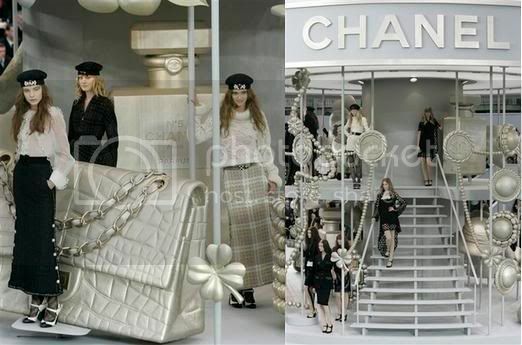 Perfect for Chanel. It`s an improvement, very commercial. Now if they were to get a really fresh hard model for the season`s ads, like: Anna Jagodiska, Sara Blomqvist or Iris Strubegger, it might put some much needed edge to the collection. I love it! I feel like getting on the merry go ride!